Halloween is creeping up on us, along with the Holiday season! 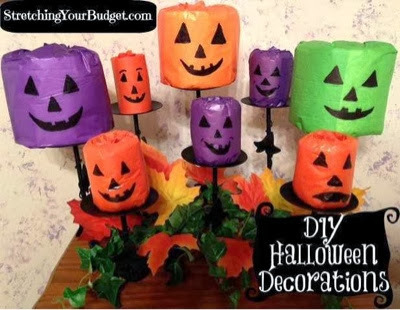 Here I share some of my favorite Halloween DIY Decor ideas. 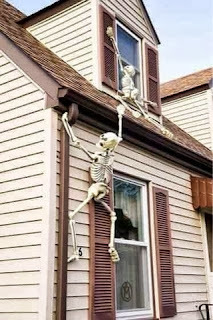 Any flexible skeleton works. Don't feel like putting them up your house? Think crafty! A staircase, the wall or even ceiling will work. The picture explains the simple process. 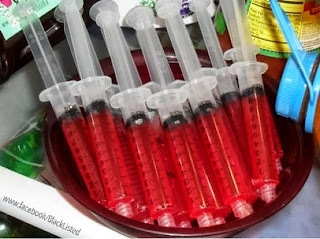 Check JoAnns for a proper glow in the dark paint. I love love love this! A simple mask addition to a fall theme wreath. Switch it to a turkey for November! Plus with a piece of wood & some chalkboard paint you could create festive shapes. Along with a different saying written. This sir is too cute! 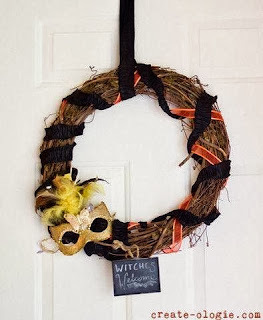 I live this fuzzy monster wreath! Easy to DIY. 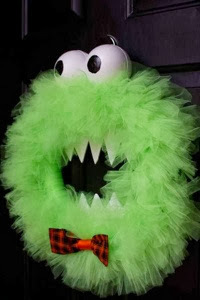 Purchase wreath cheap at JoAnns, and pick up some tutu fabric (or just fuzzy fluff) and an outfit for the little guy. Fill up pumpkin with ice packs if desired to keep your drinks cold. Need I say more? Too awesome! Yep, your pup can become Halloween decor too! Either purchase or easily sew a Finn hat for your dog. 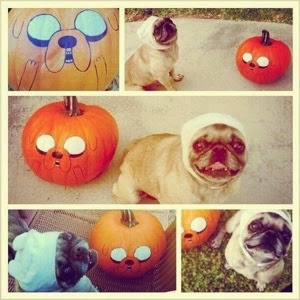 Paint a pumpkin like Jake, and voila! 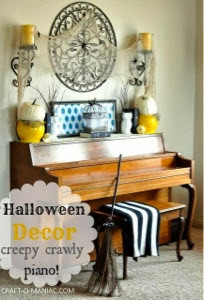 Piano decor can include anything from creepy candles and cobwebs, to a broom stick and a vampire cape hanging aside. These remind me of toilet paper rolls. For the bathroom cover rolls with tissue paper, and cut out a cute (or creepy) jack-oak stern face! 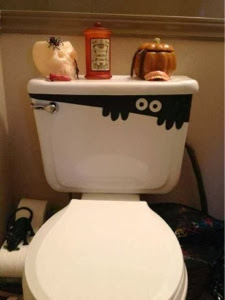 Another cute bathroom Halloween decor idea. 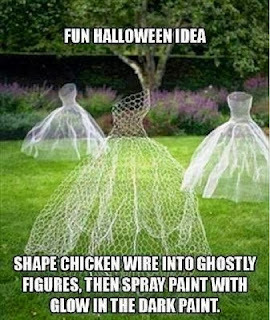 Get crafty with it! Painting "mini pumpkins" is a tradition even I loved as a child. Why just paint? 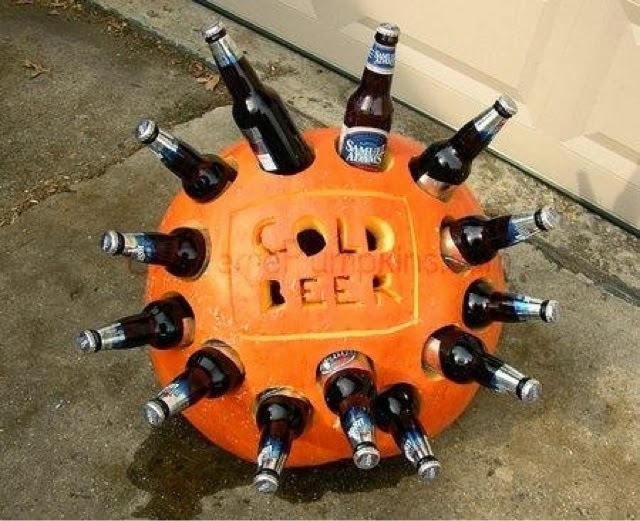 Think outside the jack-o-latern! (Okay, that wasn't that punny). 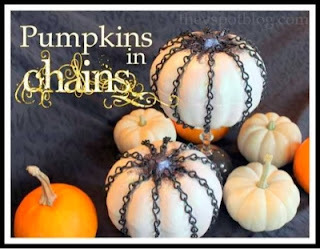 Chains are simple to use as an addition for many decorations this season. Did you get crafty this season? Please share! I'd love to see a picture, or hear about it.